Sir Peter Scott (1909-1989) knew how to take action, and how to inspire others. He was a visionary who understood that people and nature are part of the same intertwined ecosystem. He realised – ahead of his time – that our wealth, our health and our emotional wellbeing all depend on the natural world. He understood that showing people how amazing nature is, can ignite a passion to conserve it. Scott was an accomplished artist, writer, world-class sportsman, Naval Commander and the son of one of the most famous explorers of the 20th Century. Famously, his father’s last letter from Antarctica prophetically instructed his wife to “Make the boy interested in nature – it is so much better than sports.” As fate would have it, he was brilliant at both. 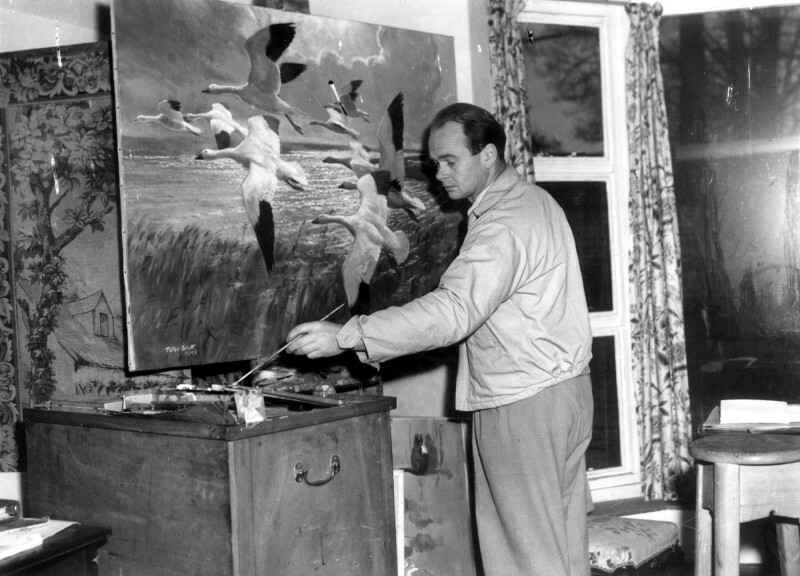 Added to this he was an extraordinary wildlife artist with a particular passion for wildfowl art. He produced hundreds of original wildfowl artworks in his lifetime and his deep love of painting birds must surely have driven his passion for working to save wetlands and wildfowl around the world. 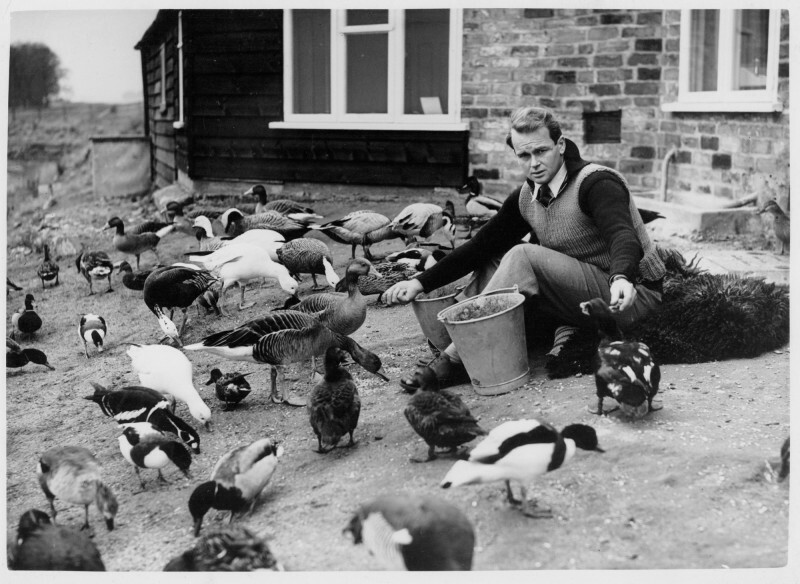 In 1945/6 he became determined to set up a Wildfowl Trust – but where? At Slimbridge – he had a ‘eureka’ moment. Here, on the banks of the River Severn in Gloucestershire he spotted two unbelievably rare Lesser White-Fronted Geese in a flock of White-Fronted Geese. So, Slimbridge would become the home of the Severn Wildfowl Trust – later to become the Wildfowl and Wetlands Trust. More than that, he began to address wider, global conservation issues. A co-founder and first chairman of the World Wildlife Fund (1961), his work on international conservation issues continued over the coming decades. He was instrumental in setting up the Ramsar Convention in 1971. This international agreement works to protect wetlands of international importance and now includes over 2,300 sites covering 2 million square kilometres. In 1982 he established an international moratorium on whaling and later worked to secure agreements for the protection of Antarctica from international exploitation. In 1973 he became the first person to be knighted for services to conservation. 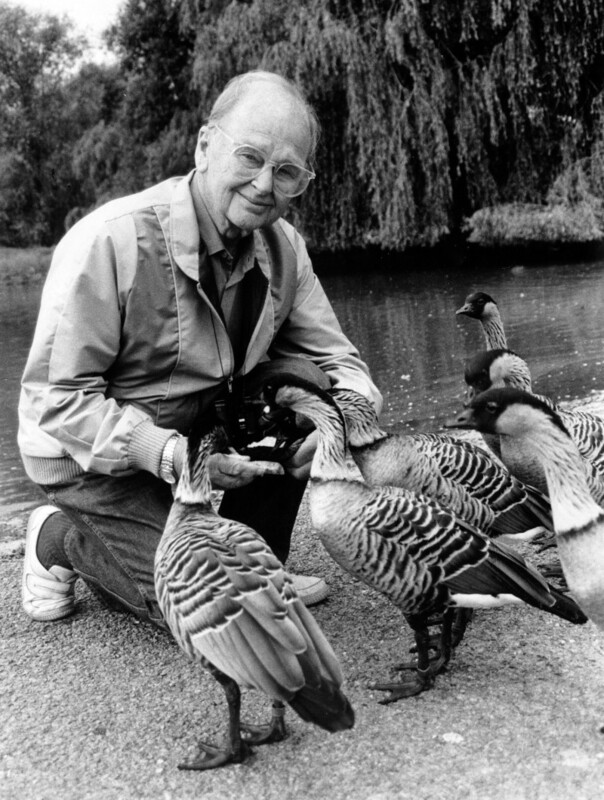 Over the coming years he developed new conservation techniques and honed existing ideas; he saved the Hawaiian Goose (the Néné) from extinction; he established international protocols for conservation (i.e. the International Union for the Conservation of Nature (IUCN) Red List of Threatened Species) still used today to categorise the conservation status of all known species; he brokered national and international agreements for the conservation of wildlife; he championed research into the damage done to our wild places and how to address this; he tracked the migratory patterns of wetland birds; he resolved to work across borders to protect their flyways and – insightful as ever – he recognised the power of bringing wildlife into people’s homes through the evolving medium of television and his ‘Look’ series on the BBC. 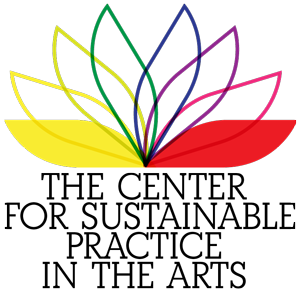 It is hard to identify anyone before him who had such an impact on raising conservation issues with the general public, and on bringing governments together to address global issues. 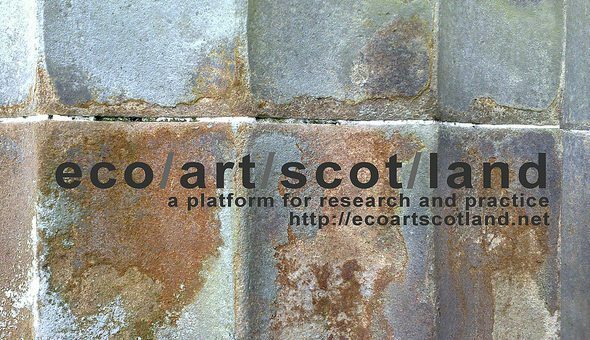 ecoartscotland is a resource focused on art and ecology for artists, curators, critics, commissioners as well as scientists and policy makers. 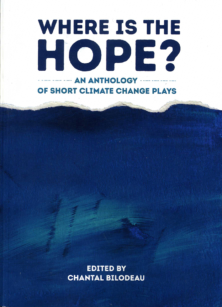 It includes ecoartscotland papers, a mix of discussions of works by artists and critical theoretical texts, and serves as a curatorial platform. 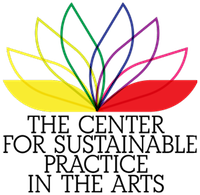 It has been established by Chris Fremantle, producer and research associate with On The Edge Research, Gray’s School of Art, The Robert Gordon University. 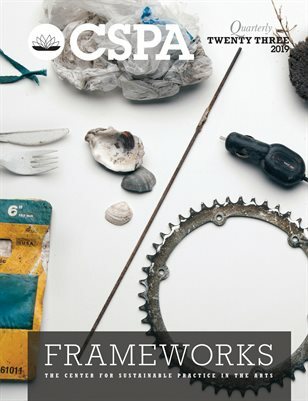 Fremantle is a member of a number of international networks of artists, curators and others focused on art and ecology.